I wish I could attend this talk. I am writing a long article about money in our daily life. This would really be so useful for my studies. 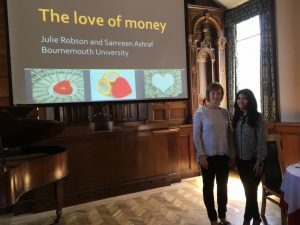 I must have neglected to advise anyone, but , in the same spirit as the notice about the talk given by Dr. Julie Robson and Samreen Ashraf, I gave a very well-received guest lecture to the Bournemouth U3A (University of the 3rd Age) at the end of March on the topic of “Rutherford – How the Renaissance led to the modern world”. I don’t believe that any photograph was made, but if you would like to mention this in this blog (and if the end of March is not too far past its ‘sell-by’ date), I can provide a visual to accompany the item.